Tim Bolen from CHCH visits PondView to find out what’s happening at our Niagara winery this Canada Day weekend. 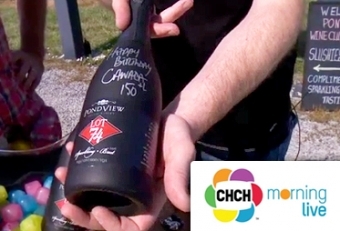 There’s always something going on at PondView Estate Winery, and there was more than ever to see and do this past weekend for the Canada Day festivities! Escorted by PondView Brand Ambassador Brent Livingstone, Tim Bolen of CHCH took a tour around our Niagara winery and vineyards. He stopped by on our patio to sample our cheese and charcuterie boards, and visited with Lorenzo from the Go-Go Food Co., who was serving up delectable Canadian eats at our winery all Canada Day Weekend long. After a visit to our beautiful new barrel room for a tasting and a lesson in aeration, Tim finished his afternoon at PondView in our sunny vineyard, where he learned all about our Wine Club and wine tasting tours. 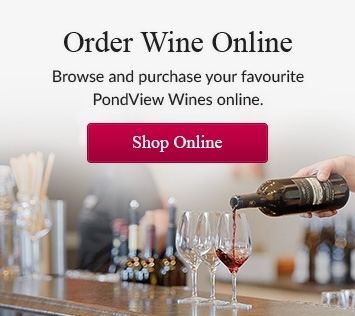 Visit PondView Estate Winery in Niagara for a wine tour and tasting and something delicious to eat – or join our Wine Club and enjoy PondView on your own patio this summer!